Prepare your field for the best possible outcome. For spectators, looking down upon a freshly laid synthetic field adds to the experience of game day – everything is shiny and new. But for field managers, brand new fields tell a different story. Because residue from the manufacturing process coats the strands of new synthetic turf, it can be extremely challenging to paint. 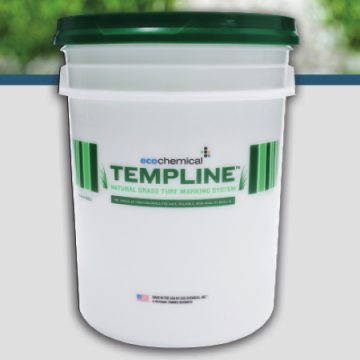 Here at TempLine, we knew there had to be a solution for fresh fields to behave like seasoned ones while maintaining their brand new look. Our solution? 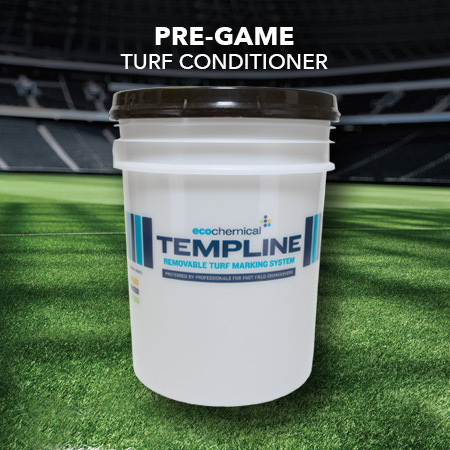 TempLine brand field conditioners Pre-Game and Clear Base: both intended to prepare fields to look and perform their absolute best. 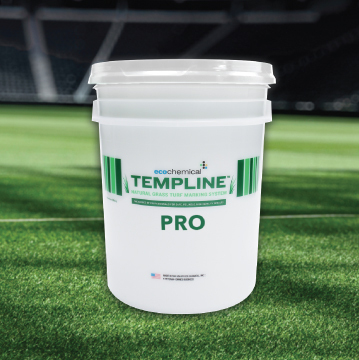 TempLine Pre-Game enhances paint adhesion for initial painting by conditioning the outer surface of the turf strands. 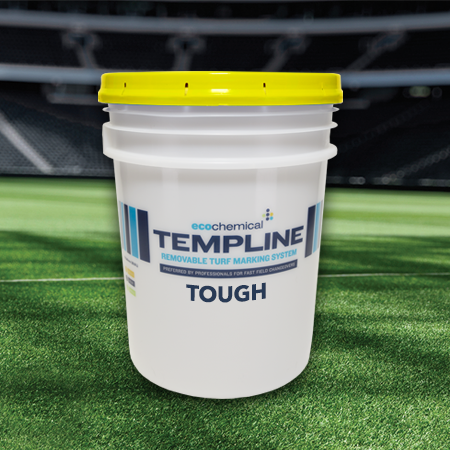 Pre-Game essentially provides anchor points for the paint to stick, which promotes better adhesion during the first several months of field use. Pre-Game allows for more thorough and even paint coverage while minimizing the labor required to get first-time paint on the field. 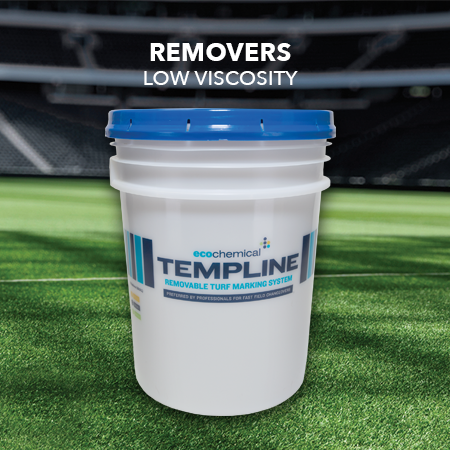 Our proprietary formulation assists new synthetic turf to be more uniformly receptive to TempLine field paints, but won’t impede paint removal when you’re ready to take it off. 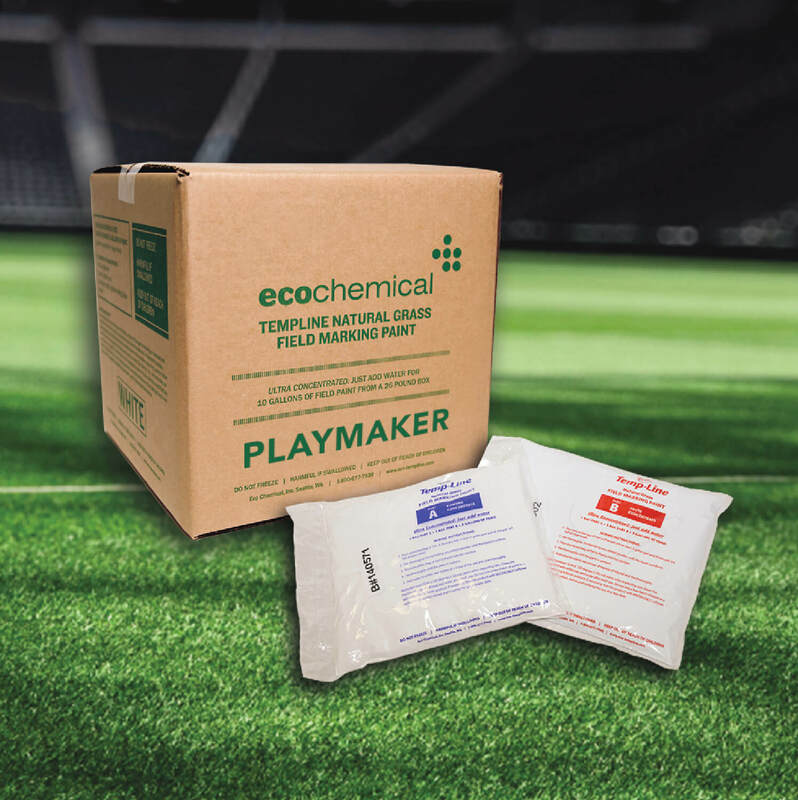 Applying Pre-Game to your new field prevents much of the labor that goes into maintaining your logo application and field dressing from week to week as the turf fibers are broken in. This reduction in necessary manpower can mean the difference between touching up a logo once a week instead of every two to three days. 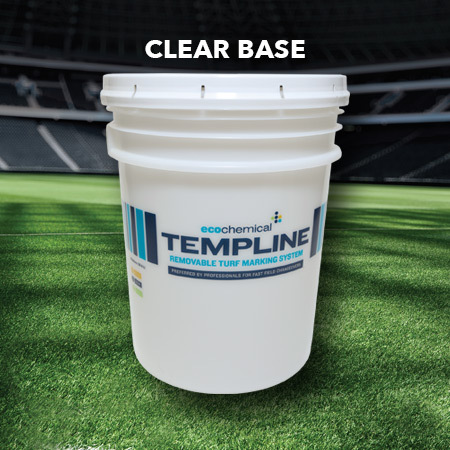 New fields and old fields alike can learn a thing or two from Clear Base, our sealant solution. “Clear Base started out as our first conditioner, but it turned out to be useful in protecting areas of the field that you don’t want to absorb paint. The rubber in the turf acts as an extremely porous sponge. On brand new turf, when you paint the rubber before protecting it, you will end up with a constant ghost of color. Clear Base makes the rubber insoluble. Clear Base will fill the nooks and crannies of a surface, so that when you do remove the paint, pigment particles come off clean because they have nowhere else to go. 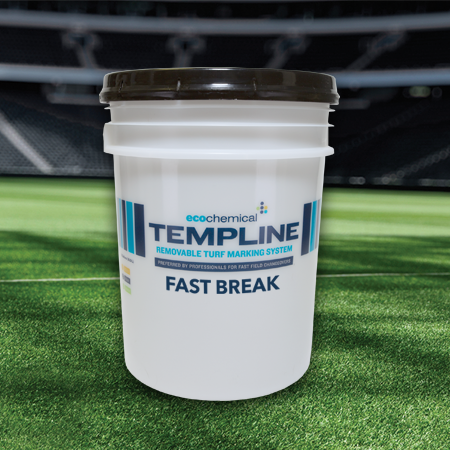 Residue from the manufacturing process can coat the strands of new synthetic turf, making it challenging to paint for the first few times.